For many team members, finding accurate and up-to-date data and requirements requires sorting through a myriad of emails, spreadsheets, presentations, and various tools and databases. On average, each team member uses 4-5 tools to manage their workload, with the top 3 usually being email, spreadsheets, and some type of ticketing system. Many organizations cite the time spent on managing, updating, and distributing physical documents as a critical inefficiency and roadblock against effective and timely communications. Many organizations recognize enabling real-time data flow between stakeholders across teams, departments and even vendors/suppliers is a top priority for improving operational efficiency. Most tasks today require people to work with someone outside of their immediate team, across functions, across departments, or even across companies. Stop letting things fall through the cracks because there was confusion about who is doing what. Achieve clarity and maintain accountability by identifying upfront everyone’s roles and responsibilities and, most importantly, the order of operations. 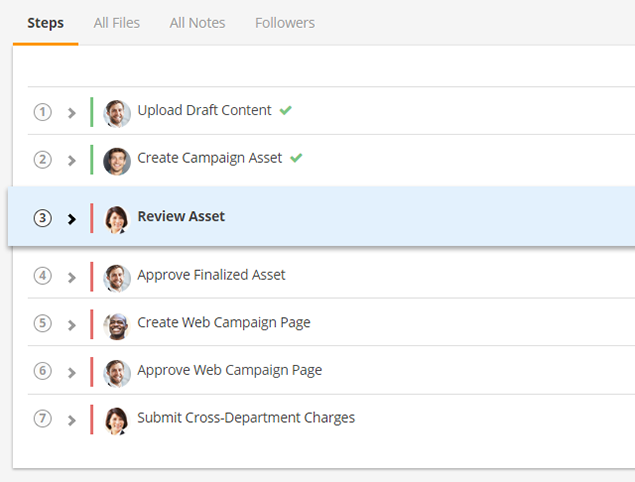 Automatically track KPIs on requests, such as volume, time-to-completion, resource load, etc. Monitor these KPIs to uncover bottlenecks, business continuity risks and opportunities for improvement. Eliminate the mistakes and confusion due to requesters and step owners providing sparse or incomplete information. 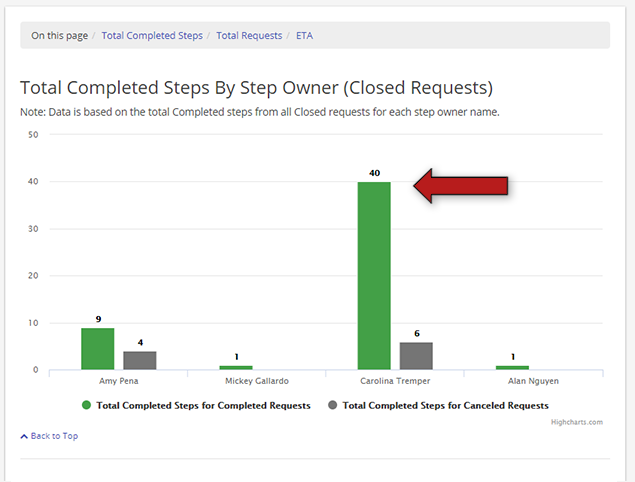 Standardize data gathering by creating structured forms for submitting a request and completing a step. Don't worry about having to wear yet another hat. Our customer success team will provide the training and software support for both your team and for your end-users so that you are free to just run your business.